Premier Christian Radio has hired a train conductor to voice its station imaging after bosses heard her reading out announcements on Southern Railway. Paul Chantler was travelling on the 8:45am from Eastbourne to Victoria when he heard Kisteen O’Kane on the internal PA, and thought she had a good voice: “I thought she had the most lovely, lilting Scottish accent which was confirmed to me when she came round to check the tickets,” he told RadioToday. After auditions, alongside professional voice-overs, Kirsteen was chosen to record Premier’s station ident and will now become the voice of the station. And the train conductor, who has been complimented on her voice from passengers before, says she’d like to look into the possibilities of becoming a professional ‘voice-over’. 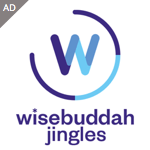 The station has also launched a new jingle package today, created by Wise Buddah containing a selection of custom IDs influenced by modern worship and traditional hymns.